See who made the list, how much the billionaire is worth and how each ranks. The D.C. area is home to 11 billionaires who made the 2019 Forbes list, including the region’s newest billionaire resident, President Donald Trump. Forbes’ 33rd-annual ranking of the world’s billionaires counts 2,153 of them worldwide, down from 2,208 in 2018. The total net worth of this year’s billionaires is $8.7 trillion, down from $9.1 trillion in 2018, the first decrease in billionaire wealth since 2016. The average net worth of billionaires on the 2019 list is $4 billion, down from $4.1 billion in 2018. The top of the list remains Jeff Bezos. 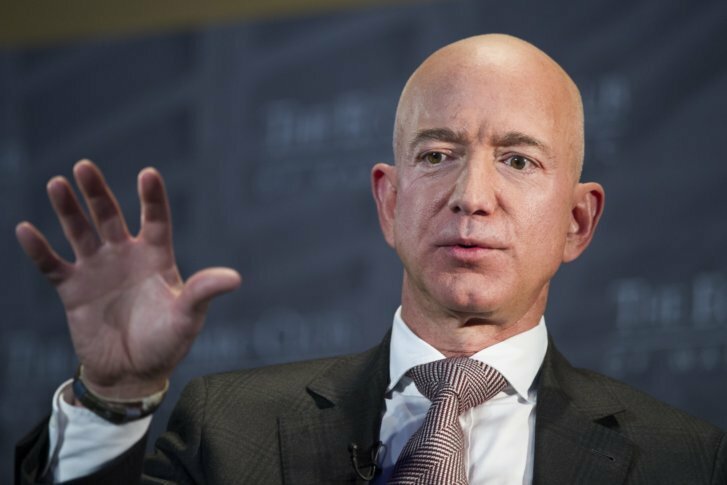 The Amazon founder, who bought a $32 million mansion in Kalorama, has an estimated net worth of $131 billion, up $19 billion from 2018. Bill Gates is No. 2 at $96.5 billion, up from $90 billion. Warren Buffett is No. 3 with a net worth of $82 5 billion, down $1.5 billion. The youngest billionaire on the list is Kylie Jenner. At age 21, Forbes estimates her net worth at $1 billion. It makes her the youngest self-made billionaire of all time. Mark Zuckerberg, who once held the title of youngest billionaire, fell three places to No. 8 this year. He’s worth an estimated $62.3 billion, down $8.7 billion from 2018. See the full list of Forbes 2019 Richest People in the World list here.